At the top of Google Earth is a “History button” or a "turn back the clock" option. I suggest this image date: 11/28/11 (less fuzz). First thing to note: Solomon’s map is held sideways. Notice architectural north in the top right corner (circled in red). 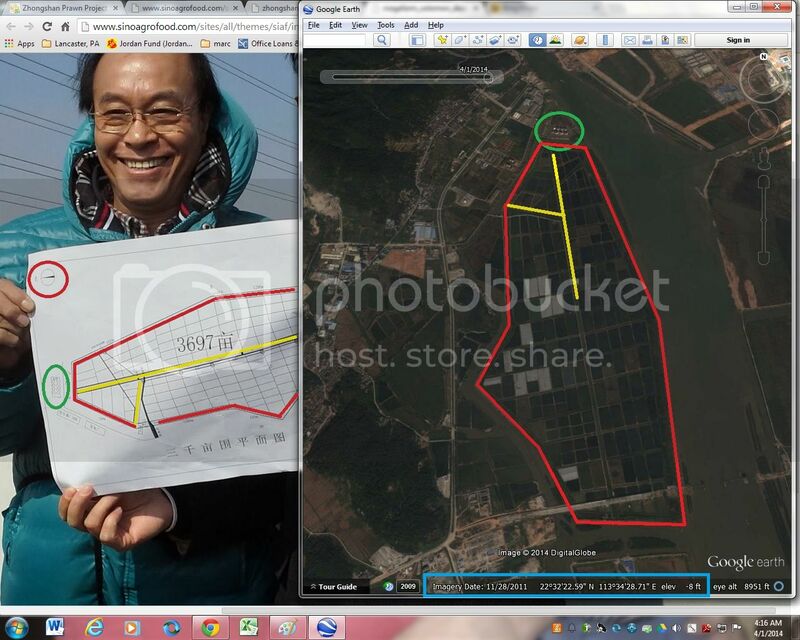 Half dozen to dozen round fuel storage tanks at top / architectural north of the map (circled in green). Zoom in on Google Earth and you can see the electrical towers that run from north to south right through the center of the Mega Farm. There is a new bridge at the southern end of the Mega Farm (actually over it). Solomon is standing on this bridge in the picture. Based on the excavation pix, I think it's an arched suspension bridge because one can see an arch in the distance. The shape and all the architectural lines match-up.